The central character of Haydn’s opera Il Mondo della Luna is a rather dotty and egotistical but naive old man, Bonafede. He is entranced by the lunar lifestyle invented by Ecclitico, the false astronomer. The aim of the opera is to befuddle Bonafede into allowing his two daughters to marry: Flaminia to Ernesto, and Clarice to Ecclitico. The opera was performed in celebration of the wedding of Count Nikolaus Eszterházy (son of Haydn’s employer, Prince Eszterházy) and the Countess Maria Anna Weissenwolf on August 3, 1777, but very rarely (if at all) thereafter. It underwent a number of changes, and it is clear that there is not one but many versions of the piece. The opera was a pathbreaker in a number of ways. 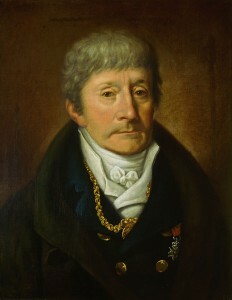 Up until 1776 there was no regular operatic tradition at the Eszterházy court, where Haydn was composer and Kapellmeister. He had composed several well-received operas, including L’infedeltà delusa (performed by New Chamber Opera in 2014) but it was not until the completion of the new Eszterházy theatre that he began to compose operas on a regular basis. 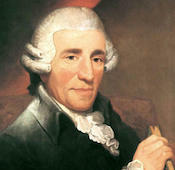 Haydn not only wrote new operas but promoted works by other composers’ new repertoire. It has undergone some revival in the last few years, in particular, in two different productions by English Touring Opera. Read a review of the production here. The story of The Barber of Seville, best known to modern audiences through Rossini’s Il barbiere di Siviglia, had a number of previous settings, the most popular of which was by Giovanni Paisiello (1740 – 1816). 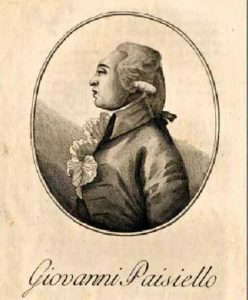 The libretto comes straight from Beaumarchais, and is by the prolific (and capable) poet, Giuseppe Petrosellini. The opera was performed on 26 September 1782 at the Imperial Court in St Petersburg, and had lasting success; even after the premiere of Rossini’s version, Paisiello’s setting continued to be performed for some years afterward. Paisiello studied at the Conservatorio di S. Onoforio in Naples, originally as a singer. His years there were very successful, and he eventually became the composer for the Conservatorio’s theatre. His works there were mainly intermezzos, but they won him operatic commissions for Bologna and Rome, and when he departed the Conservatorio in 1763, he was in a position to launch a successful career. In 1776 Paisiello was invited by Catherine the Great, Empress of Russia, and it was there that The Barber of Seville was conceived. Domenico Cimarosa’s The Parisian Painter had its premiere at the Teatro Valle in Rome on 2 January 1781. The opera had an adventurous life; it was staged in 1782 in Milan, as part of the season at the Teatro alla Scala; in 1785 at the King’s Theatre in London; in 1793 in Vienna; in 1794 at Real Theatro Sao Carlo in Lisbon. In a revised version, it was staged as Le brame deluse in Florence in 1787 with the addition of some arias of Francesco Cipolla, and in 1794 at the Teatro Nuovo in Naples as Il barone burlato. 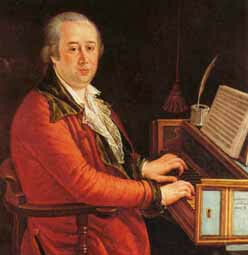 Cimarosa was among the most successful of late 18th-century opera composers. He was born in Aversa, Campania, and was sent to Naples to study. He obtained a scholarship at the musical institute of Santa Maria di Loreto, where he studied with Nicolo Piccini, Antionio Sacchini, and others. His first opera was the 1772 comedy, Le stravaganze del conte, followed by the farce Le pazzie di Stelladaura e di Zoroastro; these resulted in an invitation to Rome, and he began writing more widely, with premieres in Rome, Naples, Florence, and Venice. From 1787 to 1792, Cimarosa worked in St Petersburg by invitation of Empress Catherine II. And on returning to Vienna, wrote what is regarded as his masterpiece, Il matrimonio segreto (NCO staged it 1990, and in 1996). 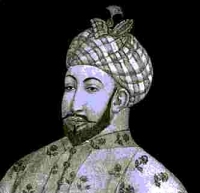 He died in Venice in 1801. 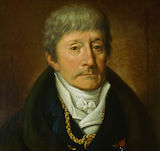 The composer, Antonio Salieri, was born in Legnago, south of Verona, in the Republic of Venice, but spent his career in the service of the Habsburgs Monarchy. For much of that time, from 1774 to 1792, he was Director of the Court opera, and not only a major figure in Vienna, but he also composed operas which were performed in Paris, Rome, and London. As a student, he had studied with Florian Gassmann (whom he succeeded in the court theatre) and was a protégé of Gluck. Goldoni’s play, La Locandiera, was written in 1753, and is regarded as one of Goldoni’s finest; it has been described by one critic as his Much Ado About Nothing. It tells the story of the fascinating Mirandolina, who is the landlady of a wayside inn. All her customers fall in love with her, including the arrogant Cavaliere di Ripfratta, who claims to be immune from female charms. The other characters in the opera are the waiter Fabrizio, who is jealous of those who fall for his mistress; the maid Lena, who is looking for a husband; the poor Marquis of Forlimpopoli, who promises much and delivers little; and the contrastingly wealthy Conte d’Albafiorate. The operatic verison, with a libretto by Domenico Poggi, was first performed in Vienna in 1773. It was an astounding success, with performances in theatres in France, Germany, Italy and Austria. However, by the end of the century it had fallen from favour, and it did not receive its first modern performance until 1989. 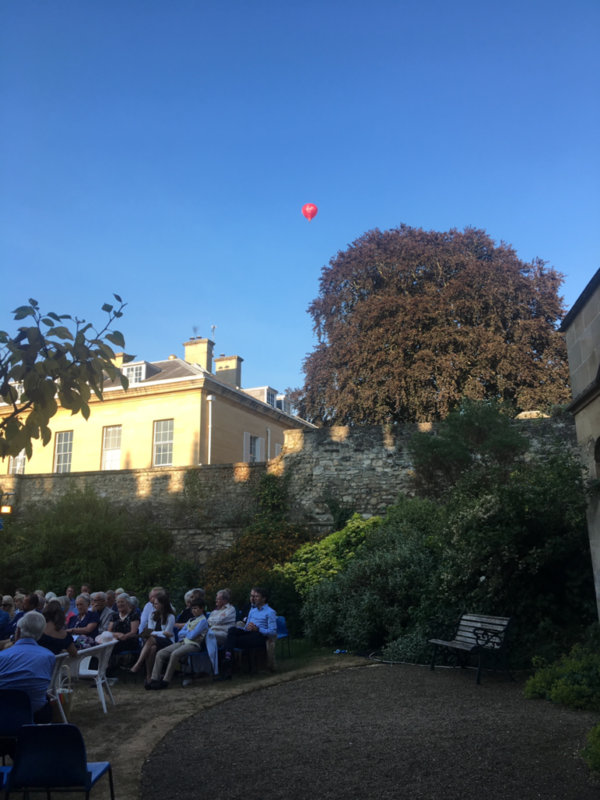 The New Chamber Opera performances will be the first in England in modern times, and will have a new translation by Simon Rees. 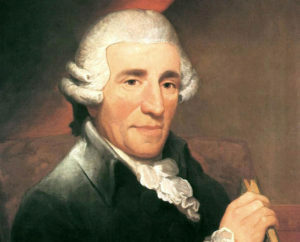 Despite the fact that Haydn wrote numerous operas, it can be said even today that although not neglected, they are the least know works in his output. And the figures stack up; he produced 13 Italian operas, 4 Italian comedies with spoken dialogue, and 5 or 6 German Singspiele. He also produced incidental music for plays. almost all were composed for the Esterházy court. 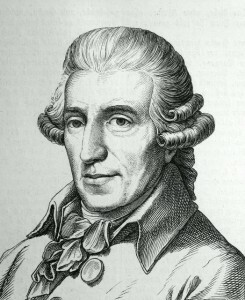 L’infedeltà delusa was described as a ‘burletta per musica’, and had a libretto by Marco Coltellini. It was first performed at Eszterháza, the seat of the Esterházy family who employed Haydn, on 26 July 1773, the name day of the Dowager Princess Esterházy. Like many other 18th-century operas, it had a short life; there was one for Empress Maria Theresia on 1 September, and another, on 1 July 1774, to mark the visit to Eszterháza of two distinguished Italians, and then no more during Haydn’s lifetime. Maria Theresia’s reported comment – ‘If I wish to hear a good opera, I go to Eszterháza’ – indicates the esteem that both Haydn and the court were held. It is believed that a gift of 25 ducats from Prince Nikolaus Esterházy to Haydn at the end of May 1774 was a thank-offering for the new opera. 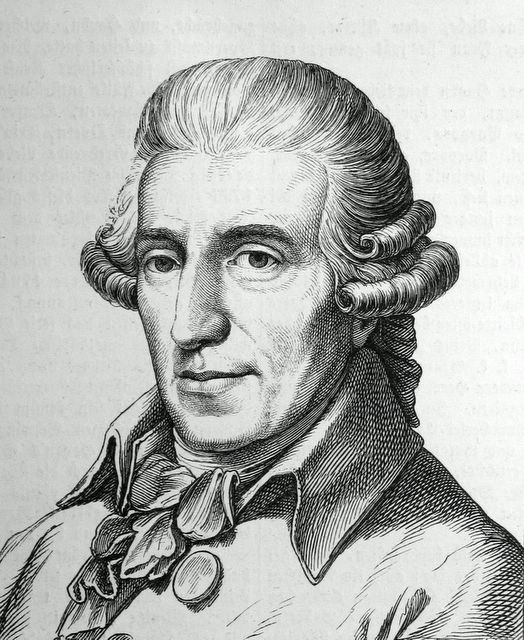 L’infedeltà delusa marks a particular moment Haydn’s development as an opera composer, a development which is reflected in the use of characters only from the peasant class, no chorus, two acts of equal length, and a small orchestra. The opera has a convoluted love plot involving two pairs of lovers, Sandrina (a simple girl) and Nanni (a peasant) and Nencio (a well-to-do peasant) and Vespina (‘a girl of free spirit’). The action arises from the desire of Sandrina’s father, Filippo, to marry her to Nencio, in which he succeeds to the extent of dragging out of Sandrina her reluctant agreement to marry Nencio and rebuff Nanni. With various twists and turns in which Vespina plots and disguises herself as a frail old woman, a tipsy German servant, and a pretended bridegroom, the Marchese di Ripafratta. After much derring-do, Filippo can do no other than accept the double wedding of Sandrina and Nanni, Vespina and Nencio. 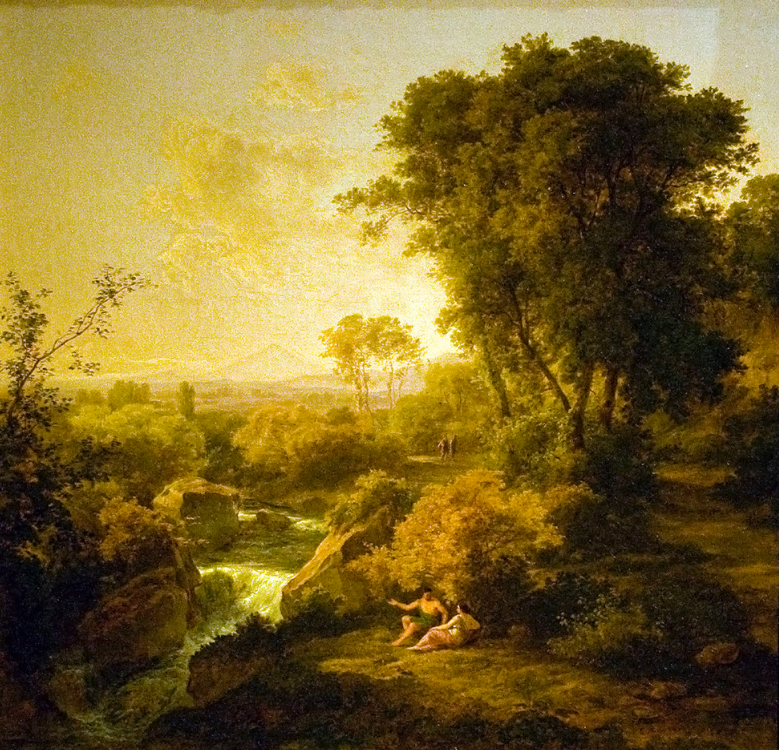 Like many similar 18th-century works, the key to much of the action is the importance of country life; here it found is Nencio’s view, expressed in an aria to Sandrina, that the flirtatiousness of the town girls is unsatisfactory compared with those of the countryside. 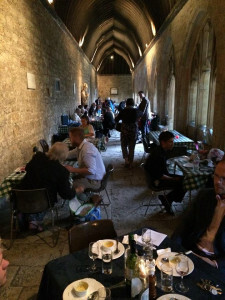 4 (Preview), 7, 8, 10, 11, 13, 14 and 15 July 2012. While Il re pastore – written when Mozart was only nineteen years old – may not be as well-known an operatic work as Così fan tutte or Le nozze di Figaro, it is nonetheless a substantial work in its own right that provides a glimpse into the themes and stylistic devices employed in his subsequent works. Originally a pastoral opera seria, the libretto by Pietro Metastasio was compressed from three to two acts in Mozart’s serenata version, and the plot places emphasis on benevolence and appreciation of the royal archetype during the time of Alexander the Great. Alessandro, King of Macedonia, has freed the kingdom of Sidon from the grasps of the tyrant Straton. He does not assume the throne himself, but intends to restore the legitimate heir to the kingdom. Thus, together with Sidonian nobleman Agenore, they approach the shepherd Aminta who, unbeknownst to himself, is Abdalonimo, rightful heir to the throne. Aminta declines their offers nobly, being contented with his plans to tend to his flock and marry the nymph Elisa. The daughter of the overthrown Straton, Tamiri, is in love with Agenore but has too much pride to ask Alessandro for forgiveness. Before Aminta can ask Elisa’s father for a marriage blessing, he is informed by Agenore of his true royal identity, and is commanded to appear before Alessandro. In a bid to secure peace within Sidon, Alessandro decides that Aminta should marry Tamiri, and this results in series of emotional conflict when Agenore carries out Alessandro’s orders obediently and secretly. Elisa is enraged by Alessandro’s decision, and calls for a public confession on Aminta’s part for betraying his love and commitment to her. Tamiri is displeased with Agenore, who has been torn between his love for Tamiri and his patriotism for Sidon. Aminta resolves to abdicate the throne to be with Elisa, but Alexander, moved by the sincerity of the lovers’ pleas, allows the lovers to be reunited. In a final grand gesture of magnanimity, Alessandro declares Aminta and Elisa as the rulers of Sidon, while Agenore and Tamiri are granted another kingdom to rule. Antonio Salieri’s setting of Falstaff, is an operatic version of Shakespeare’s play, The Merry Wives of Windsor. 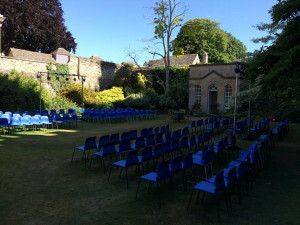 The knock about comedy of Shakespeare’s original – it is his only small-town drama – which has caused Shakespeareans to look down on the play are the very things that make for an excellent opera buffa. Central to both works is the scene in which Falstaff, hiding from Mr Ford in laundry basket, is carried out under his nose. ‘Sir’ John Falstaff arrives uninvited at a party given at Mr and Mrs Slender’s home in Windsor. 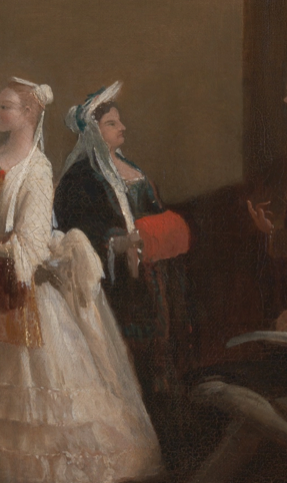 He is broke, and sees the opportunity to replenish his resources and improve his lifestyle by wooing his hostess, Mrs Slender, and her friend, Mrs Ford, as a way to their husband’s fortunes. Retiring to the Capricorn Inn, he writes identical love letters to both women. When they compare notes, they realise his game, and plot revenge. Mr Ford is now suspicious of his wife’s fidelity. Mrs Ford then disguises herself as a German woman, and visits Falstaff. 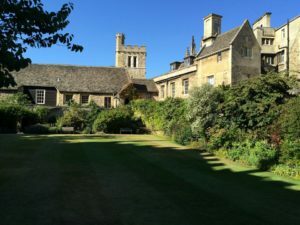 Following in her wake, her husband, planning to catch Falstaff and his wife in flagrante, calls disguised as a ‘Mr Brook’, and furthers Falstaff’s plan to call on his wife when ‘her husband’ is out. When Falstaff calls on Mrs Ford, the first trick is played out. As Falstaff makes a play for Mrs Ford, they are interrupted by the maid, Betty, with the (false) news at Mr Ford is at the door. They tip Falstaff into a laundry basket to ‘hide’ him, intending to tip him into the Thames. To general consternation, Mr Ford then does arrive and orders a search of the house. However, the ‘laundry’ is removed under his nose, and the women are able to mock Ford for his apparently unfounded jealousy. Although they came near to disaster, the ultimate success of their plan has spurred Mrs Ford and Mrs Slender to further exploits, and Betty visits Falstaff to set up another assignation. But ‘Mr Brook’ also visits and finds out the truth about the laundry basket…. this time, Falstaff’s overtures to Mrs Ford are again interrupted by the return of Mr Ford. To conceal Falstaff, he is disguised as the Ford’s cook’s old aunt, someone loathed by Mr Ford. When Ford arrives, he heads straight for the laundry basket; to find it empty! And takes his wrath out on the ‘aunt’ whom he beats out of the house. Mrs Ford and Mrs Slender decide to call a halt, and to confess all to their husbands, and together, they decide on one last trick to settle the matter. ‘Mr Brook’ and the ‘German Lady’ again visit Falstaff; they finally make a ‘cuckold’ of him, by persuading him to dress as Herne the Hunter with horns, and to meet Mrs Ford at Herne’s oak in the Windsor Forrest. Mrs Ford and Mrs Slender meet Falstaff at the tree, flatter him, and then disappear. Falstaff, frightened, imagines he is bewitched, and is so panicked that he fails to spot Mrs Ford’s true identity when she then appears as the teasing ‘Queen of the Fairies’. In the end, Mrs Ford and Mrs Slender reveal their true identities, and make Falstaff promise that he will err no more. For bookings please use the numbers below. For the 7th and 13th please download the forms.